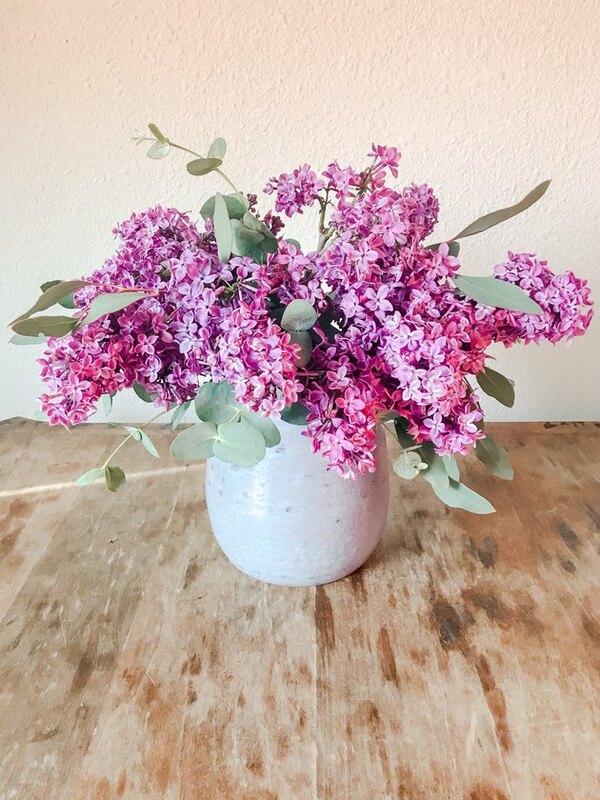 Have you noticed that when you buy flowers from a grocery store, it usually seems as though you only have two options: either a bunch of a single type of flower, or mixed bouquets that include every flower and color under the sun. Now, I personally love all colors (I often say rainbow is my favorite color), but what if you want something in-between? Or something that looks like it was made by a florist? 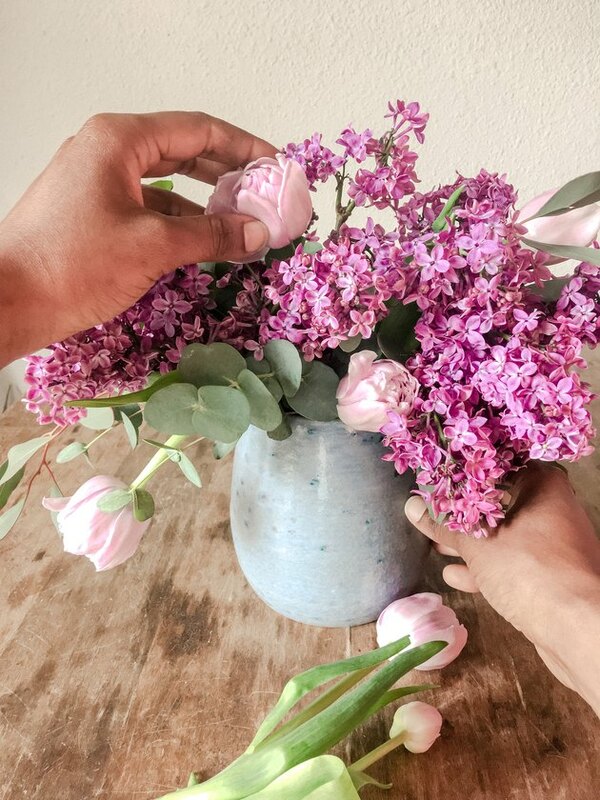 Below, we're sharing tips on how you can create your own chic arrangement with a couple different single flower bunches from your local grocery store or farmer's market. Fun fact: we found all of these flowers at our neighborhood Trader Joe's. 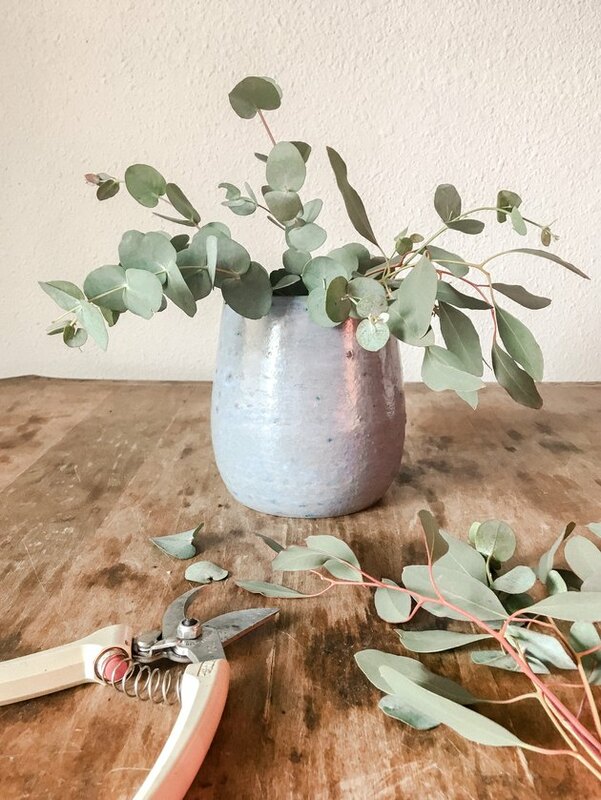 TIP: For this DIY, we chose two kinds of flowers, lilacs and tulips, and one kind of greenery, a mixed eucalyptus bundle. Have fun and play with different textures! 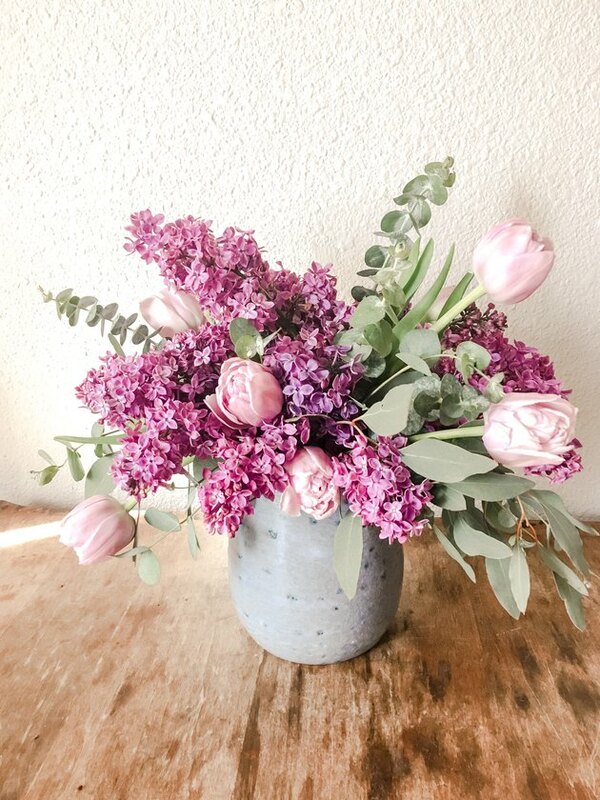 I chose the tulips for their movement, lilacs for their texture and fragrance, and the eucalyptus because it's silvery tones play nicely with the cool purple shades of the lilacs and tulips. 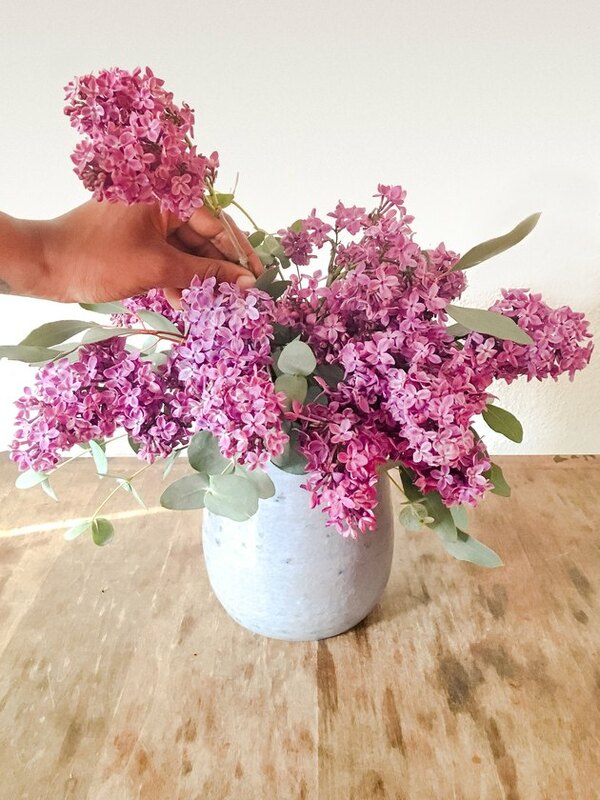 After bringing your blooms home, immediately remove the leaves from the lower portion of all the stems, give them a fresh cut, and then place in a vase of clean water. 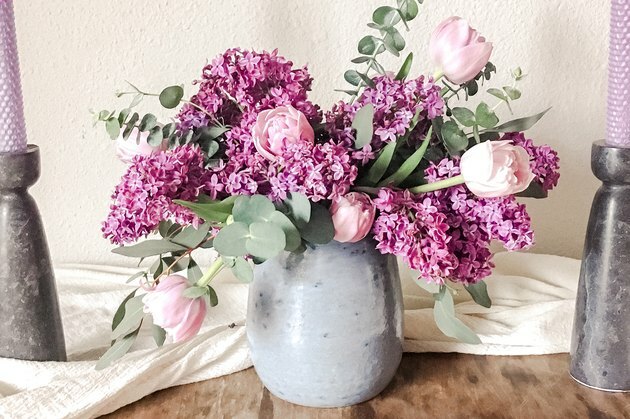 Begin by creating a "nest" of greenery in your vase. The nest helps to set a base of support and shape for your arrangement. Next, add your second element: the lilacs. 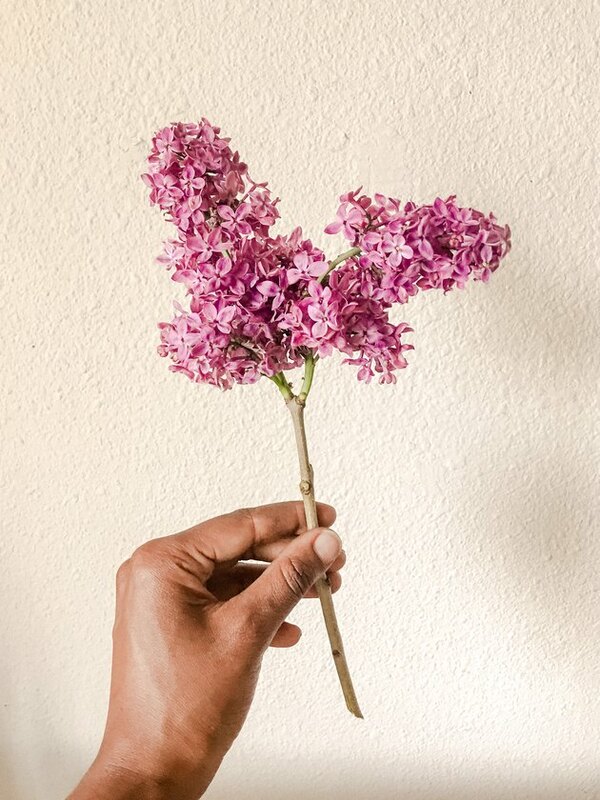 TIP: Strip the greenery off the lilacs, cut the bottom at an angle, and then cut a split up the stem. This will help the drink up more water, which in turn will help them stay fresher for longer. First add the lilacs along the base with the blooms resting along the edge. As you continue, keep the stems longer to add height and depth to the arrangement. 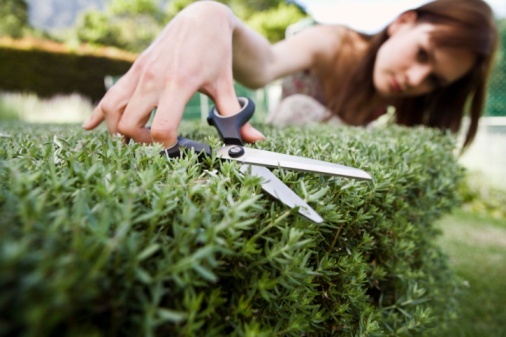 Turn the arrangement around as you arrange to ensure you are creating something full on all sides. Next add your tulips. 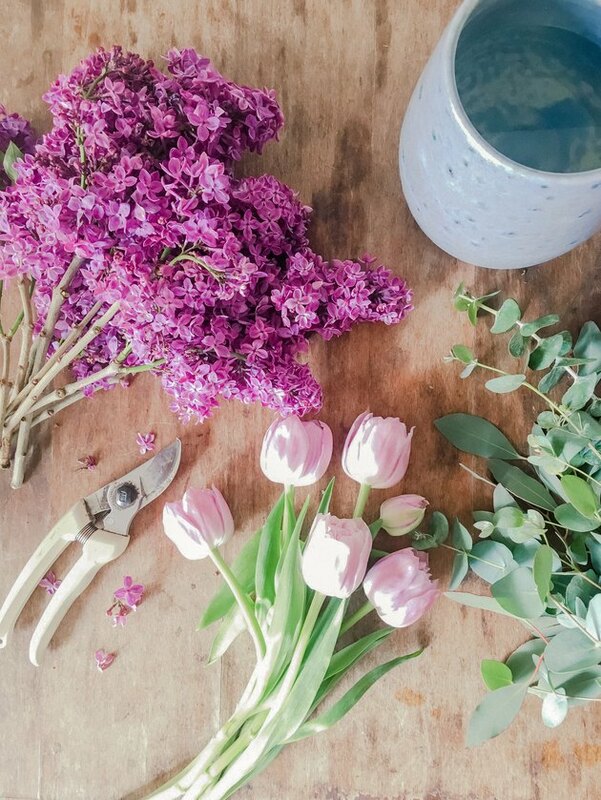 Tulips are ideal for arrangements because their stems have a lot of movement, so use that to your advantage. Create "moments" with the tulips by placing them in groupings throughout. 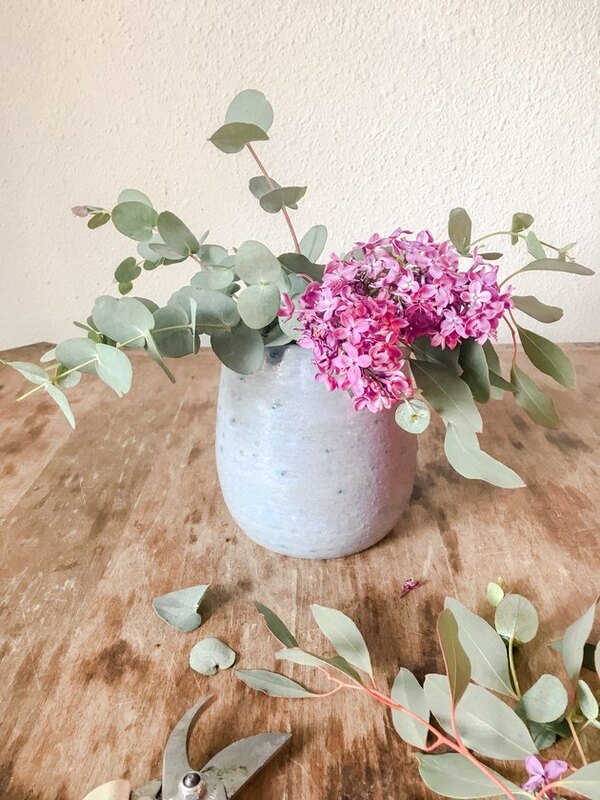 Create depth by burying some stems into the vase while allowing others to pop out. Finally, weave in the last bit of your greenery to add more height, texture, and depth to your arrangement. And there you have it! A beautiful, fragrant, and uplifting piece that's pretty affordable and pretty to look at. You probably won't look at the flowers at the grocery store the same way again.